Why Are Appliance Repair Companies Using Pay Per Click Marketing To Get More Appliance Repair Leads? Did you know that more than 30 percent searches on Google have some relation with local businesses? The importance of local has increased drastically in the past few years with most consumers turning to internet to get details about local businesses. 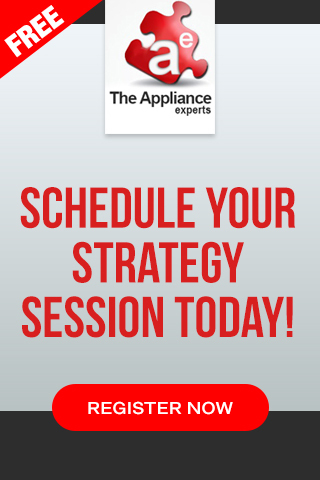 This has led to several changes in the way appliance repair businesses market themselves. If you plan to target local customers to increase your revenues, then Pay Per Click Advertising like Bing Ads and Google AdWords are one of your best options. For the purpose of this article we are going to focus more on Google AdWords, but just know that or recommendations apply to both Pay Per Click Advertising platforms. Most appliance repair businesses give up using AdWords because they don’t get the desired return on their investment. If you have made a substantial investment in AdWords to market your appliance repair company and things are not working out for you, it may be because you are doing something wrong. 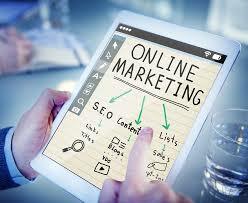 As with any other online or offline marketing campaign, you must put in a lot of effort to make your ad successful. Just because you have created and launched an ad campaign, you cannot expect your ad to be successful. You must tweak the ad at least once a week and analyze which keywords are delivering the best results. Since the relevance of keywords change frequently, you must analyze them regularly to ensure that your ads stay relevant. At times, you may have a great advertising campaign but a horrible landing page. If you get excellent click rate but poor conversion, you should take a hard look at the landing page to see if changes should be made. For instance, if you don’t have a video on the landing page, you should think of adding one. This is likely to increase the conversion rate by 80 percent. Logically, adding a lot of keywords to your Ad groups will increase the traffic. However, too many keywords can reduce the relevance of the Ad groups. So, you should try targeting a few keywords that are likely to bring in most traffic. 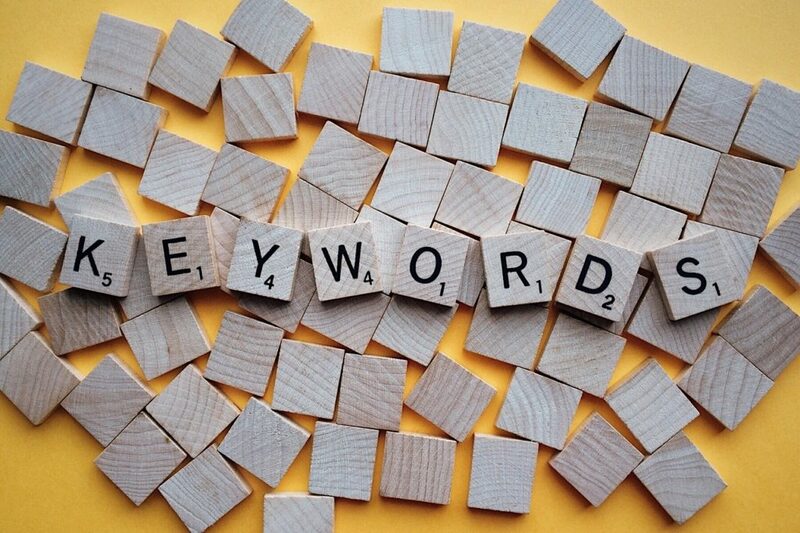 Adding many keywords can increase your visibility in the search engines. However, this does not mean that you will get more visitors to your page. Consumers look for the most relevant results when they use the search engine. So, when you use specific keywords that are targeted at the services you are offering, it will attract more visitors. Also, you may pay less for AdWords when you target specific keywords which will reduce your advertising budget. It is clear that you can make several mistakes when using Google AdWords. It will take time, effort, and skill to run a successful Google AdWords campaign. You should ideally run two or three campaigns at the same time. Each campaign must focus on a different keyword. This will help you find out which keyword delivers the best result. For instance, if you want to target people living in a specific city within your service area, you can easily do it using Google AdWords. AdWords campaign for local areas has a high success rate when compared to nation-wide campaigns. Also, you can set up your campaigns to run Ads on specific days of the week and during certain times of the day. Test the ads for a few days and select the area, date, and time that gives the maximum benefit. When you design your ad campaign, make sure you include your brand in advertisements. Sure, most people will not look for your brand when they search for appliance repair companies in their area. However, people who are aware of your presence are more likely to select your company for their appliance repair needs. Also, since the ads are specific to your brand, they will not cost you much. So, what happens if you don’t come out with brand specific ads? Well, it is possible that your competitors could use your brand and use it to their advantage. Even if you have excellent search engine ranking, your competitor’s ads will appear above the results and affect your business. Google rewards those appliance repair companies that come out with tight and relevant ads. This means that you should target keywords that are relevant to your business and consumers. So, how will Google reward you? Well, your conversion rate will improve drastically. Also, you will have to pay less for the ads you have created. So, this will not only increase your earnings but will also reduce your advertising expenses. These tips will massively increase the success of your AdWords campaign. However, this not the comprehensive guide to help you succeed. There are several other factors that you to consider if you want your campaign to be successful. There are several features in Google AdWords which be used to boost your sales. One of the features used by most appliance repair companies is local extensions. This feature allows you include your postal address and phone number in your Ad, which is likely to increase the number of leads significantly. Similarly, you can use call extensions to focus on phone call conversions. This will make it easier for people to call you when they want to repair their household appliances. Another advantage of using AdWords is that when you target local customers you can customize the ads in a jiffy. There are several tools you can use to target a desired location and customer group. This will help you create relevant ads which can be easily altered with a click of a button. If the location you have selected does not work for you, you can always select a different location parameter. For instance, you could choose to target consumers that live in a 10-15 mile radius within your service area. These customizable tools can also be used to improve your marketing campaigns. The countdown feature will display the time the customers have left to take advantage of the special offers. This will encourage consumers to call you before the special offer closes. Adding your location to attract customers is not sufficient to run a successful ad campaign. You must be able to come out with relevant ads that target a specific group. You can do this in AdWords by selecting keywords that are relevant to the appliances you repair or service. This makes it easier for local customers to find your company. If you target generic keywords, your customers may not be able to locate you and your entire effort will be wasted. If you plan to target local customer, AdWords is one of best tools you can use to achieve your goal. In this technologically advanced age, it is important that your company can be seen in local searches pertaining to appliance repairs. The are some so called “online marketing experts” who would have suggested that AdWords isn’t effective. However, statistics beg to differ. In a study, it was found that appliance repair companies that spent $1 on AdWords got at least $2 on their $1 investment. This means you can easily double to your profits when you invest in AdWords! So how can you achieve this doubling of profits? The secret is simple, you have to put in time and effort to achieve your goals. 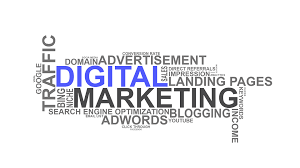 Usually, most people who claim that AdWords are not successful are those who have spent little time in making their campaign a success or they just have some other agenda, maybe they only sell SEO services, so they must talk down Pay Per Click Marketing. You just cannot create an account, come out with an ad, and hope that it gives excellent returns. If you follow this approach, you are bound to fail. You must work hard on your ad campaign and make changes whenever necessary. The best part about using AdWords is that you can make changes in your campaign at any time. You can choose how long you want your ad to run and how much you are willing to spend on it. AdWords also gives you a chance to customize the ad and ensure it targets a specified customer group. Also, it provides several extensions that increase your chances of success. Another important benefit of using AdWords is that you can easily tweak your ads and see instant improvement in results. In fact, if you don’t make changes in your ad and monitor its progress, you will not know whether the ad is working or not. Even if your ad campaign is successful, it can have a negative effect on your business if you don’t know what you are doing. Appliance Repair Businesses that have come out with successful ad campaigns have taken the time to research how to use these ads to their advantage. There are several mistakes that you can make. These mistakes can drain your advertising budget quickly. One of the mistakes you can do is run and a single ad campaign and put your entire marketing budget into it. This is a bad idea, as it can empty your marketing budget without getting any results. To get the best return on your investment, you should run more than one ad campaign and track them regularly. It is actually a good idea to spend small amounts in multiple ad campaigns. Once you identify the advertisements that are successful, you can increase your spending on these advertisements. A factor that has a huge role to play when it comes to launching a successful ad campaign is the Ad Copy. Ad copy that instantly grabs the attention of your potential customer will not only improve your revenues but will also increase the chances of your ad showing in top listing. This is bound to increase your revenues and profit. So, what should you do to come out with high converting ads? Just follow the steps below to get the maximum results from your ads. You must understand that you cannot come out with great ads overnight. It will take a lot of effort to understand what ad copy works and what doesn’t. To avoid mistakes and to increase your success rate, you must look at the PPC ads of your competitors. Usually, competitors have several years of experience when it comes to PPC ads and they will put in a lot of effort to ensure that their ads are successful. They must have carried out several tests and spend huge sums of money to figure out which keyword is the best. So, do some research on the appliance repair keywords you plan to target and find out what other companies in your local service area are focusing their attention on. This will give you an idea of what keywords you should use to succeed. When designing an Ad Copy, most marketers forget to incorporate symbols and numbers in their copy. When symbols and numbers are included in the ads, they will catch the attention of your potential customers easily and increase the effectiveness of the ad. For instance, an ad which contains a line Save 10% on Labor, is likely to be more effective than Reduced Labor Prices Drastically. So whenever possible, try to include numbers and symbols. Most companies in the appliance repair industry try to include all the features of their service in one ad. They are under the impression that listing all the benefits will increase their chances of getting more customers. However, this approach may not be right. Google AdWords gives you limited space and using it to list all the benefits your company offers may not be wise. Instead, you should focus your attention on features that interest your target audience. At any given point of time, you must run several ads and focus each ad on one or two most important feature of your company. Writing great ad copy will take time and effort. If you follow these tips, it will save a lot of effort and get you the most from your ad campaigns. Google has made it easier for companies in the Appliance Repair Industry to benefits from Pay Per Click Marketing. AdWords itself is a very good advertising platform which has several features that helps in improving the effectiveness of your ad. However, there are a few other products that you can use to increase the success one of your PPC campaign. Appliance repair companies that use PPC advertising know the importance of analyzing and tracking their ad campaigns. You must understand that it is impossible to find out the effectiveness of the ad if you cannot track its progress. You can link Google Analytics to your AdWords, which can help you achieve useful and clearer feedback. When you use Analytics, you can find out how long the visitor stayed on your site, how many converted, and which appliance repair keywords that were effective. When you create your Google My Business account, you will be able to list your appliance repair business on Google Maps. When your company gets listed in Google Maps, you can use the location extension feature in AdWords. This allows you to target your ads locally. This feature is extremely useful for appliance repair companies that cater to local customers. Apart from using Google products, there are several other tools you can use to boost your AdWords experience. These tools will increase your chances of success and make it easy for you to design your ad campaign. Some of these tools are free, while others are paid tools. Some people find Google Analytics complicated and difficult to use. If you have a problem with Google Analytics, you can use the AdWords Performance Grader as an alternative. This tool will show you’ how your ad is performing and what you can do to improve it. This reduces your workload without charging you for it. This tool is by far the most useful add-on that one can use to customize their PPC ads. It gives you numerous options to alter your ads based upon a huge range of parameters. When you use this tool, you can create targeted ads which are more effective than normal ads. These are just some of the free tools you can use to make your ads more effective. Apart from these tools, there are several other products and tools that complement AdWords. 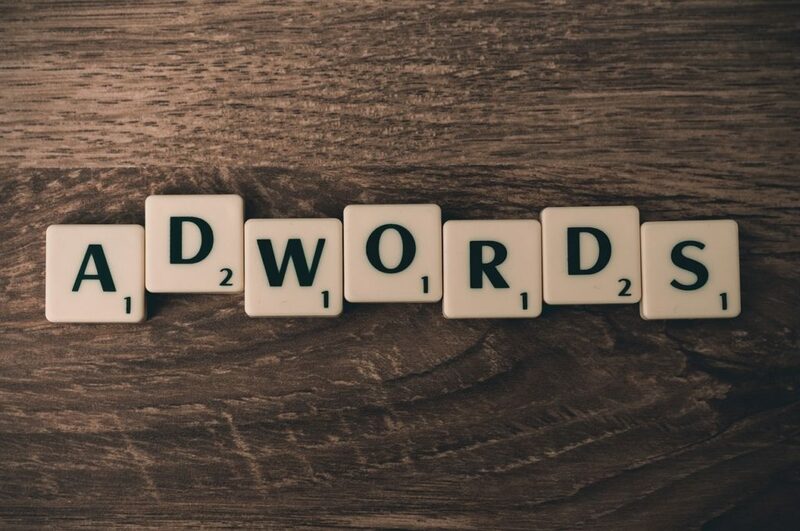 If you are serious about making money from AdWords, you should check out these products and tools, as they will definitely make your ad campaign even more effective. Appliance repair companies that use AdWords have experienced great success. They use various free and paid tools to complement AdWords to improve the effectiveness of their ads. AdWords tools and features are extremely useful but can also have a negative effect on your ad campaign if you over use these tools. If you are new to AdWords, it is best that you start out with some basic features and tools, rather than using all possible tools. The best way of finding out whether a feature is working has a positive effect on your campaign is by tracking it. If you use too many features at the same time, you will not be able to identify the feature that is working for you. So, before using a feature, you must ask yourself How will this feature benefit me? What is my main goal of your paid search campaign and who am I targeting? Once you have the answers to these questions, you can easily identify the features that can help you achieve your marketing objective. 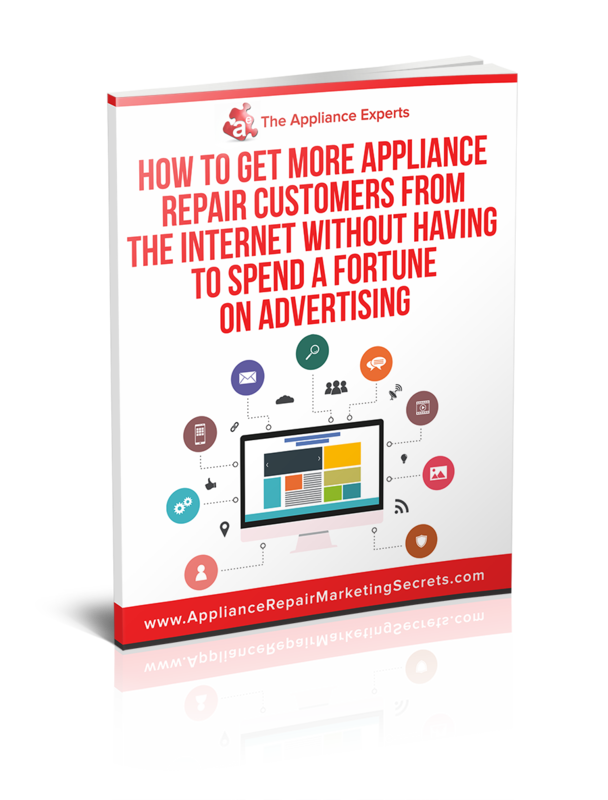 Want more ideas and tips for about how you can better market your appliance repair company online? Download our FREE GUIDE here How To Get More Customers From The Internet Without Having To Spend A Fortune On Advertising.